In our Baking in Kenya Series post for this week, we will be focusing on the types of sugars found in Kenya that can be used in baking. You can also check out other ingredients in this series used for baking. This is the regular sugar that is used everyday in homes for many other uses such as in sweetening tea or coffee. It is used by most people for baking at home or commercially since it's very economical and easily found. It's found in shops as well as supermarkets anywhere in Kenya and ranges from Kshs. 70-100 per Kg. It is ideal for most cake, breads and pastry recipes, unless your recipe calls for another kind of sugar. 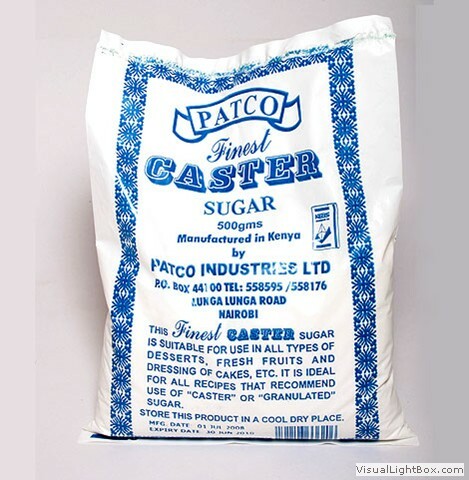 Caster sugar (sometimes spelled "Castor") is a super-fine sugar that has small, very fine grains. It is finer than regular sugar but not as fine as icing sugar either. It is preferred in the making of sponge cakes and if you want your cakes to have a very soft texture, this is due to it's high dissolving property. It's sold in major supermarkets in Kenya in 500gm packets that range from about Kshs. 100 to 120. Brown sugar is used in recipes for cakses such as Ginger cake or some fruit cake recipes. It is granulated sugar that has a percentage of molasses in it (around 10%). It is used in a recipe to give the end product a slight carmelized taste to the cake. Some brown sugars are granulated sugars (e.g. caster sugar) which have molasses introduced to them and some are natural sugars with a residual amount of molasses in them. 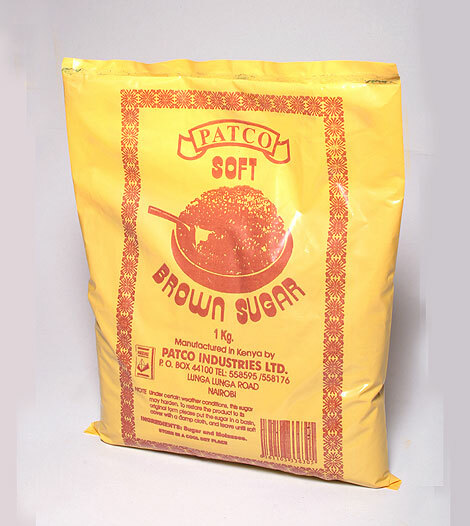 Brown sugar is sold in some major supermarkets in Kenya in 500gm or 1 Kg packets, you can find them in Nakumatt or Chandarana supermarkets. The 500gms packets range from Kshs. 110-150. If you don't have brown sugar and would like to find a substitute while baking at home, if you have mollasses, use the measures of 1 Tablespoon molasses to 1 cup of granulated sugar. 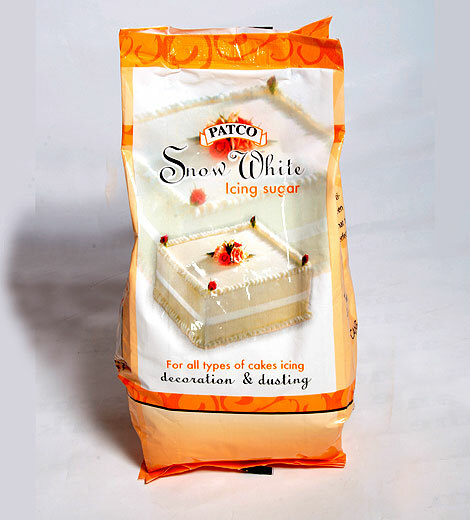 Icing sugar also known as powdered or confectioner's sugar is a very finely granulated sugar. It is mostly used for cake decoration such as dusting or for use in frosting recipes or for glazes and royal icing. It is found in 500gms or 1 Kg packets in Kenya and is easily available in major supermarkets. 500 gm packets range from Kshs. 95 - 120. Those are the 4 most popular sugars used in baking in Kenya. I hope this post is helpful to you in your baking projects. If you have any comments and suggestions please feel free to post below. Please visit our Baking Classes page for more information. Good to know about this article.. Its very important to love the own product of your place and use it as one of the ingredients in baking. I enjoyed reading all your post about your skills in baking, hopefully I can also share with you.. Thanks! Thanks for reading the blog, much appreciated ^_^!